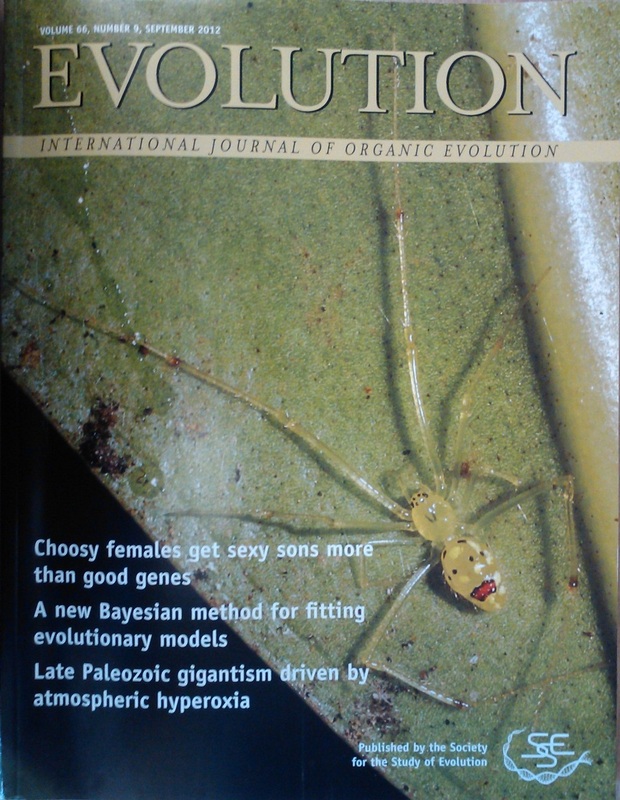 Phylogenetic Tools for Comparative Biology: New 'Evolution' paper out - and we made the cover! New 'Evolution' paper out - and we made the cover! My new paper with Graham Reynolds describing a new Bayesian method for fitting evolutionary models to comparative data with intraspecific variation (entitled, creatively, "A new Bayesian method for fitting evolutionary models to comparative data with intraspecific variation") has now come out in the journal 'Evolution' (link to September table of contents, here). Not only that, but we made the cover! The method of this article is implemented in the phytools function fitBayes and described in a prior post to this blog. Check it out!